Our family is growing by two feet...baby feet that is! I've been tight lipped since December 4th when we found out that I once again became pregnant. The moment was emotional - and not in the "Oh my God I'm so happy" kind of way. More like the burst into tears because I'm so friggin' scared kind of way. Having recently had a miscarriage, I knew that the digital confirmation on a store bought pregnancy test was not a crystal ball. Sure I was undeniably happy to see that one little word yet again, but it's just that after experiencing such a difficult scenario a couple months prior, it also set into motion the exhausting roller-coaster that is waiting to see if this time it will work. Even so, I tried my hardest to remain positive. This will be my last pregnancy and I truly want to enjoy every moment. I took the test first thing in the morning while Ricky was in the shower. I slid it in the pocket of my hoodie sweatshirt and exited the bathroom to await the result. By the time I took it out and set it on the bedside table, it had already turned positive! There was no waiting for Ricky to get out of the shower or thinking up cutesy ways to break the news. I immediately threw open the door and waved the stick at the foggy shower glass. We both stood there frozen. And then I began to cry. The next two weeks were filled with blood tests and lab-work to confirm the pregnancy and check that my levels were increasing as they should. Each resulted in good news. It just so happened that my 6 week appointment would fall just a few days before we were preparing to leave town for the holidays - and at this appointment we would get to have a sonogram. Making it to 6 weeks was comforting. I lost my last pregnancy at 5.5 weeks so this felt like an accomplishment and a good sign. Ricky held my hand as we watched the gray and white blur fill the screen next to the exam table. The doctor pointed out the sac, the fetal pole and right there before our eyes we saw the thumping of the tiniest little heart we've ever seen, something she had said just minutes before that we may or may not see at just 6 weeks along. But we saw it. Another good sign. Just as we were going to start exchanging presents, we told everyone that Ethan had a special gift for his brother. That he had picked it out and wrapped it himself and he couldn't wait to give it to him with everyone's undivided attention (Ethan does love attention, so we knew this would not raise any eyebrows). He handed Aiden his gift and said "I don't need this anymore, but you do". Inside was the blue "Big Brother" t-shirt we had given to Ethan when Aiden was born. He was passing the torch. Everyone cheered and hugged and was incredibly excited. And it felt right. Okay to share in the excitement. Tomorrow I am 9 weeks. We had another sonogram today which helped snuff out the fears that began creeping up over the last 3 weeks. All the "what ifs". The doubts. We saw our little jelly bean become a peanut. We saw the heartbeat thumping even stronger than before. We saw life being transferred through the umbilical cord (wild, I know!) 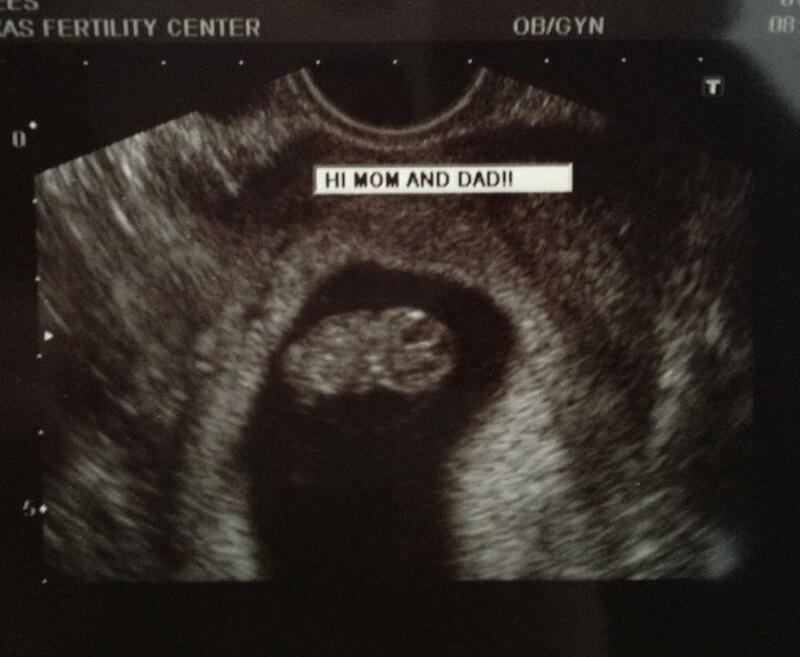 And we saw our smallest little blessing wiggle about on the fuzzy gray screen. Our head is finally matching up with the way our hearts are feeling. It is real. It is happening. And although I know that there are no guarantees, we are choosing to remain positive. Out of the blue, Ethan came and sat on my lap tonight and said "Mommy, I have a prayer to Jesus". "Okay," I said, "let me hear it." "Dear Jesus, thank you for listening to my prayers and putting a baby in mommy's belly. I know she wanted one so bad and so we prayed and you listened." Pretty profound stuff for a 4-year-old. Congrats Taryn! This is so awesome, I know everything will be amazing for you and the family! Yes!!!!!!!!!!!!!! Congratulations! So happy for you. I have been praying too, Ethan!! 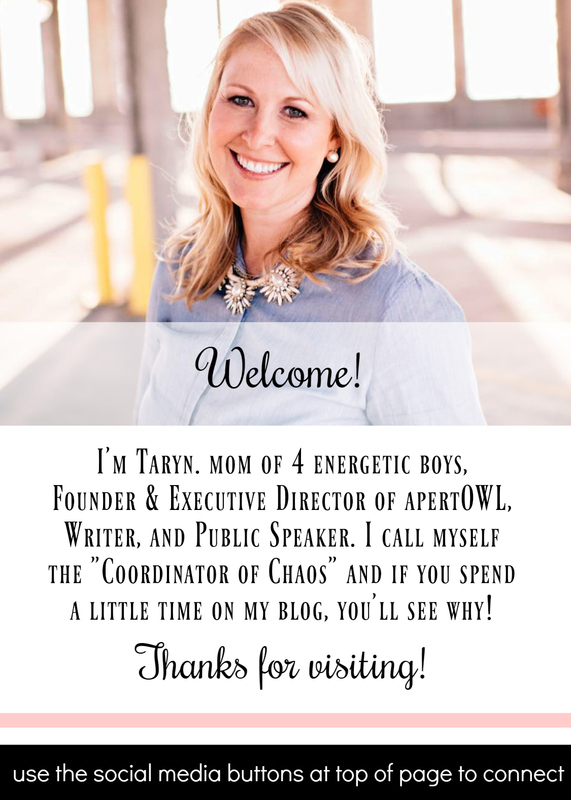 That is such WONDERFUL NEWS, Taryn! I will be praying for continued good health for both you and the baby!